A mobile phone network for health monitoring and management, funded by the University Start-Ups Creation Support System of the Japanese Ministry of Education, Culture, Sports, Science. Hardness imaging technique for X-ray CT, funded by the Cooperation of Innovative Technology and Advanced Research in Evolutional Area, the Ministry of Education, Culture, Sports, Science, and Technology. Development of medical information systems: A mobile Internet system for home care service support, and a Virtual Medical Environment. All these two were funded the Fukushima prefecture project for formation of intellectual cluster. During the end of AY 2003, the lab had around forty members including professors, researchers, post doctors, students of doctoral and Master programs, and graduation thesis studies, and foreign students. Professor Wei managed and supervised these research projects, worked on several research fields, like Biomedical modeling and computer simulation, Geometric modeling and visualization, Telemedicine and E-health, Biomedical informatics and signal processing. During this academic year, Prof. Alexander Belyaev leaved University of Aizu for a new position elsewhere. He has made a great contribution to the lab and left a good memory to the lab. [dm-wei-01:2003] Youdong Ding and Daming Wei. Approximate Implicitization of Planar Rational Parametric Curves Based on Optimization. The Journal of Three Dimensional Images, 17(4):46-52, 2003. An approximate implicitization algorithm for planar parametric rational curve is presented in this paper. Based on the optimization theory, the coeAEcient vector of the implicit form is proved to be the minimum solving vector of a real quadratic form, or a nontrivial solution of a homogeneous linear equations system. Considering the complexity of the implicit representation and the numerical computation, lower degree and geometric continuous approximate implicitization algorithms are also discussed. And the eAEciency of the proposed algorithm is illustrated by several numerical examples. [sding-01:2003] S. Ding, J.Huang, and D.Wei. Real-Time Blind Source Separation of Acoustic Signals with a Recursive Approach. International Journal of Computational Intelligence and Applications, Accepted, 2004. [wenix-01:2003] W. Chen, M. Cohen, and D. Wei. Ubiquitous Health Monitoring and Management Using Mobile Telephony. The Journal of Three Dimensional Images, 17(1):104-108, 2003. A mobile phone-based Internet system for health monitoring and management is proposed. This system comprises an Internet server for automatic health information processing and thousands of wearable compound devices for monitoring physiological signals. Awearable compound device (dubbed an 'i-monitor') consists of a tiny attachable pad ('i-pad') and an i-mode cellular phone ('i-phone'). Multiple physiological signals are acquired by the i-pad, which is attached to the breast surface beneath the clothes of a user. Preliminary diagnosis is performed within the i-pad. Whenever abnormality is detected, the i-pad initiates a connection with the i-phone, transmitting data to the i-phone using the Bluetooth protocol. The i-phone relays this data to an i-health server through the Docomo DoPa wireless network using the TCP/IP protocol. The i-health server performs comprehensive analysis of the received data using various data mining methods, and then returns the diagnostic outcome as well as healthcare instructions back to the user. [dm-wei-02:2003] DamingWei. Derived Electrocardiograms on the posterior leads from the 12-leas system: Method and evaluation. In Proc. Of the IEEE-EMBS 25th Annual International Conference of the IEEE Engineering in Medicine and Biology Society, pages 74-77. IEEE-EMBS, Sept. 2003. Correct interpretation of electrocardiogram (ECG) is important for treatment of patients with acute myocardial infarction (AMI). A large number of posterior AMI manifests ST elevation in posterior leads V7-V9 that are beyond the standard 12-lead ECG. In this paper, we propose a method with that ECGs on posterior leads V7-V9 are derived from the standard 12-lead ECG. The posterior ECGs are calculated by a linear combination of eight measuredECG signals based on information redundancy in the 12-leadECG system. One part of a 15-lead ECG database is used to derive a transfer matrix basedonthe least squaresmethod, which represents the inherent relation among body surface ECGpotentials. The other part of the database is used to evaluation the derived posterior ECG by comparing the derived ECGs with measured ones. A quantitative evaluation is performed with an automatic ECG interpretation program.The results show the accuracy of derived posterior ECGs is suAEciently good to provide useful information in diagnosis of posterior AMI. [dm-wei-03:2003] Wenxi Chen and Daming Wei. Ubiquitous Healthcare System Using Mobile Telephony Network. In Proceedings of the World Congress on Medical Physics and Biomedical Engineering 2003, pages 24-29. International Association of Biomedical Engineering, August 2003. [dm-wei-04:2003] Masayuki Uchida, Shuxue Ding, Wenxi Chen, Tetsu Nemoto, and Daming Wei. An Approach for Extractions of Pulse and Respiration Information from Pulsatile Pressure Signals. In Proceedings of IEEEEMBS Asian-Pacigfic Conference on Biomedical Engineering. International Association of Biomedical Engineering, IEEECD-ROM, Oct. 2003. An approach based on the Independent Component Analysis (ICA) was presented to reject noise and extract respiration signals and pulse signals which are contained in the pulsatile signals measured from a pillow cuff installed on the occiput of a user. Because there are only two observations for a measuring system that is a linear mixture of three sources: pulse, respiration, and noise, usual ICA cannot separate them perfectly. To solve this problem, a two-step algorithm was proposed. [dm-wei-05:2003] Toshiyuki Samamoto and Daming Wei. Implementation of Mobile ECGTelemonitor using Real-time Transport Protocol (RTP). In Proceedings of IEEE EMBS Asian-Pacific Conference on Biomedical Engineering. International Association of Biomedical Engineering, IEEE CD-ROM, Oct. 2003. In this study, we propose and develop a medical telemonitor using mobile Internet connection for home care service. The RTP was used on UDP for data transmission. The network delay and its fluctuation were observed. Algorithms for error correction and implementation of telemonitor using RTP were also introduced. This paper concluded that a packet size of 100byte and 5x5 block interleaving were choice that realizes about 2 second viewing delay. [dm-wei-06:2003] Hironori Seiyama, Daming Wei, Zhongzhen Zhao, and Wenjun Zhang. Computer-Aided Examination of Traditional Chinese Patent Medicine Based on Mirroscopic images - Microscopic and Polariscopic Characteristics of Vessels. In Proceedings of IEEE EMBS Asian-Pacific Conference on Biomedical Engineering. International Association of Biomedical Engineering, IEEE CD-ROM, Oct. 2003. AStudyon automatic authenticity examination of powdered traditional Chinese patent medicines (TCPM) based on microscopic images are conducted with image processing techniques. This paper presents an application of automatic identification of Vessels included in a TCPM as a feasibility study aimed at the computer-aided examination of TCPM based on microscopic images. [dm-wei-07:2003] Xin Zhu and Daming Wei. Conversion of the ambulatory ECG to the standard 12-LEAD ECG: a preliminary study. In Proceedings of IEEEEMBS Asian-Pacific Conference on Biomedical Engineering. International Association of Biomedical Engineering, IEEECD-ROM, Oct. 2003. The ambulatory ECG has been an important tool for diagnosis of arrhythmias. A recent trend is to use 12-lead ambulatory ECG for diagnosis of myocardial ischemia with ST abnormalities. To overcome the gap between the diagnosis methodology of the ambulatory ECGand the standard 12-lead ECG, a compromised strategy is conducted to convert the ambulatory ECG to the standard 12-lead ECG. Through evaluations, a satisfying result is obtained that the standard 12-lead ECG can be well approached by the seated 12-lead ECG. This preliminary study may play an important role on the clinic diagnosis of the ambulatory ECG. [dm-wei-08:2003] Wenxi Chen, Michel Cohen, and DamingWei. A cordless sensor for ubiquitous health monitoring. In Proceedings of the 42th Conference of Japan Society of Medical Electronics and Biological Engineering, page 413. Japan Society of Medical Electronics and Biological Engineering, Transactions of the Japan Society of Medical Electronics and Biological Engineering, June 2003. The paper presents a development of a wearable cordless sensor for health monitoring. Bluetooth communication module is built in the sensor that connect the sensor with a mobile phone. 3-axis accelarators and 2-channels of ECG and other biological signals are sensed (in Japanese) . [dm-wei-09:2003] Toshiyuki Samamoto and DamingWei. Performance Evaluation of a Biomedial Telemonitor via Mobile Internet Connections. In Proceedings of the 42th Conference of Japan Society of Medical Electronics and Biological Engineering, page 609. Japan Society of Medical Electronics and Biological Engineering, Transactions of the Japan Society of Medical Electronics and Biological Engineering, June 2003. This paper summarizes an experimental study to enhance the transmission performance of an electrocardiogram (ECG) telemonitor using mobile internet connections. (in Japanese). [dm-wei-10:2003] Hironori SEIYAMA,Daming WEI, Zhongzhen ZHAO,and Wenjun ZHANG. A Semi-automatic Identification method for Starch Grains Included in Traditional Chinese Patent Medicines. In Proceedings of the 42th Conference of Japan Society of Medical Electronics and Biological Engineering, page 532. Japan Society of Medical Electronics and Biological Engineering, Transactions of the Japan Society of Medical Electronics and Biological Engineering, June 2003. This paper presents an application of automatic identification of Starch Grains included in a powdered traditional Chinese patent medicines(TCPM) as a feasibility study aimed at the computer-aided examination of TCPM based on microscopic images. (in Japanese). [dm-wei-11:2003] Xin Zhu and Daming Wei. Simulations on the Inverse Analysis of the EEG Truncated Multipole Model. In Proceedings of the 42th Conference of Japan Society of Medical Electronics and Biological Engineering, page 182. Japan Society of Medical Electronics and Biological Engineering, Transactions of the Japan Society of Medical Electronics and Biological Engineering, June 2003. A multiple model is developed to modify a dipole model in analyzing EEGs with Alzheimer's disease. A simulation showed such feasibility (in Japanese). [sding-02:2003] S. Ding and J. Huang. Recursive Approach for Real-Time Blind Source Separation of Acoustic Signals. In R. J. Howlett V. Palade and Editors L. Jain, editors, Lecture Notes in Artificial Intelligence 2773 (Subseries of Lecture Notes in Computer Science), pages 1455- 1462. KES (Knowledge-Based Intelligent Information & Engineering Systems), Springer-Verlag, 2003. [sding-03:2003] S. Ding, T. Hikichi, T. Niitsuma, M. Hamatsu, and K. Sugai. Recursive Method for Blind Source Separation and Its Applications to Real-Time Separations of Acoustic Signals. In S. Makino S. Amari, A. Cichocki and Editors N. Murata, editors, Proc. ICA2003 (Fourth International Symposium on Independent Component Analysis and Blind Signal Separation, pages 517-522, 2003. [sding-04:2003] S. Ding, J. Huang, D.Wei, and S. Omata. Real-Time Independent Component Analysis Based on Gradient Learning with Simultaneous Perturbation Stochastic Approximation. In 8th International Conference on Knowledge Based Intelligent Information & Engineering Systems (KES2004), Wellington, New Zealand, page Accepted, Sep. 2004. [sding-05:2003] T. Hanada, T. Hoya, S. Ding, A. Barros, and Y. Ishida. Combined subband independent component analysis and neural memory for blind speech extraction. In ITC-CSCC 2004 (The 2004 International Technical Conference on Circuits/Systems, Computers and Communications), page Accepted, Apr. 2004. [sding-06:2003] J. Huang, Y. Utsuno, and S. Ding. Computational Implementation and Evaluation for the Echo-Avoidance Model of the Precedence Effect. In Proc. MIC 2004 (The 23rd IASTED International Conference on Modeling, Identification, and Control), No. 412-147, pages 506-511, Feb. 2004. According to the Echo-Avoidance(EA)model, the precedence effect is caused by the inhibition of sound localization which depends on the estimated sound-to-echo ratios.We tested the EAmodel using stimuli of click sounds, constant pure tones, speech and noise. After compared with the results of psychological experiments concerned with the precedence effect, such as double-click sound experiments, the Hass experiments and the Franssen experiments, we could conclude that theEAmodel of the precedence effect is an eAEcientmodel and is supported by the psychological data. [sding-07:2003] Y. Toyoda, J. Huang, S. Ding, and Y. Liu. Environmental Sound Recognition by the Instantaneous Spectrum Combined with the Time Pattern of Power. In Proceedings AD-ROM of NCI 2004 (The 2nd IASTED International Conference on Neural Networks and Computational Intelligence), No. 413-055, pages 169-172, Feb. 2004. [wenxi-02:2003] T. Tasaki, Y. Matsuyama, T. Nemoto, and W. Chen. Head Postural Functional Character of Visual Stimulation and Vestibular Sense Information. In Proc. of 42th Japan Soc. ME& BE, page 227, Hokkaido Univ., June 2003. Japan Soc. ME& BE, Japan Soc. ME & BE. [wenxi-03:2003] K.Watanabe, T.Tasaki, T.Nemoto, K.Yamakoshi, andW.Chen. Development of Biometry System in the Sleep by Pillow Cuff Installed on the Occiput. In Proc. of 42th Japan Soc. ME & BE, page 168, Hokkaido Univ., June 2003. Japan Soc. ME& BE, Japan Soc. ME& BE. [wenxi-04:2003] W. Chen, M. Cohen, and D. Wei. A Cordless Sensor for Ubiquitous Health Monitoring. In Proc. of 42th Japan Soc. ME & BE, page 413, Hokkaido Univ., June 2003. Japan Soc. ME& BE, Japan Soc. ME & BE. [wenxi-05:2003] H. Wang, M. Guo, S. Prasad, Y. Pan, and W. Chen. An EAEcient Algorithm for Irregular Redistributions in Parallelizing Compilers. In Proc of the 2003 International Symposium on Parallel and Distributed Processing and Applications, pages 76-87. International Association of Parallel and Distributed Processing and Applications, Springer-Verlag, July 2003. [wenxi-06:2003] W. Chen and D. Wei. Ubiquitous Healthcare System Using Mobile Telephony Network. In Proc of World Congress on Medical Physics and Biomedical Engineering, Australia, Aug. 2003. IUPESM/IFMBE/IOMP. [wenxi-07:2003] M. Uchida, S. Ding, W. Chen, T. Nemoto, and D. Wei. An Approach for Extractions of Pulseand Respiration Information from Pulsatile Pressure Signals. In Proc of IEEE-EMBS Asia-Pacific Conference on Biomedical Engineering, Japan, Oct. 2003. [wenxi-08:2003] X. Zhu, K.Yoshida, W.Yamanobe, Y. Yamamoto, W. Chen, and D. Wei. Conversion of the Ambulatory ECG to the Standard 12-lead ECG:A Preliminary Study. In Proc of IEEE-EMBS Asia-Pacific Conference on Biomedical Engineering, Japan, Oct. 2003. [dm-wei-12:2003] Daming Wei et al. Computer Graphics. IT text. Ohmsha,Tokyo, 2003. [dm-wei-13:2003] Daming Wei et al. Physiome of the Heart, page 1. Morikita Publishing, Tokyo, 2003. [dm-wei-14:2003] Michel Cohen et al DamingWei, Wenxi Chen. University Start-Ups Creation Support System of the Japanese Ministry of Education, Culture, Sports, Science and Technology, 2002-2004. [dm-wei-15:2003] et al Satao Omata, DamingWei. TheCooperation of Innovative Technology and Advanced Research in Evolutional Area, the Ministry of Education, Culture, Sports, Science, and Technology, 2002-2004. [dm-wei-16:2003] Daming Wei Takashi Yoshida. Regional Research & Development Consortium Project, Tohoku Bereau of Economy, Trade and Trade, 2002-2003. [dm-wei-17:2003] Daming Wei. Fukushima prefecture project for formation of intellectual cluster, 2002-2004. [sding-08:2003] D. Wei, W. Chen, and S. Ding. Development of a Health Monitoring and Management System Using Mobile Telephony, 2002-2004. [wenxi-09:2003] Chen W.Wei, D. and S. Ding. Development of a Health Monitoring and Management System Using Mobile Telephony, 2002-2004. [wenxi-10:2003] M. Guo and W. Chen, Jul. 2003. 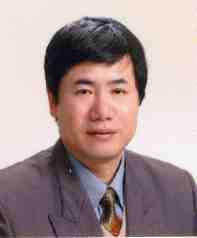 PC Member, 2003 International Symposium on Parallel and Distributed Processing and Applications. [wenxi-11:2003] W. Chen, Jul. 2003. Invited Lecturer, assembly of Fukushima prefecture Academic-Industry Government Cooperation. [wenxi-12:2003] W. Chen, Jul.-Mar. 2003-2004. Working Group Member, Medical & Healthcare Related IT Industry Cluster Framework of Aizu-Wakamatsu City. [wenxi-13:2003] D.Wei and W. Chen, Sep. 2003. PC Member, the 4th International Conference on Computer and Information Technology (CIT2003), (Canceled due to the SARS crisis). [wenxi-14:2003] T. Tamura and W. Chen, Oct. 2003. PCMember, IEEEEMBSAsian-Pacific Conference on Biomedical Engineering 2003. [wenxi-15:2003] W. Chen, Dec. 2003. 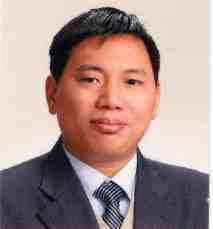 Invited Lecturer, TAMATLO Co. Ltd.
[dm-wei-18:2003] Daming Wei. Method and apparatus for deriving electrocardiograms on additional leads Application NO. 2003-385479, Nov. 2003. [dm-wei-19:2003] Daming Wei. Method and apparatus for deriving electrocardiograms on additional leads Application NO. PCT/JP2004/002251, Feb. 2004. [dm-wei-20:2003] Daming Wei. Catheter Simulation System Application NO.2004-050349, Feb. 2003. [wenxi-16:2003] T. Kobayashi and W. Chen. EXAMINATION PROCESSING METHOD, EXAMINATION PROCESSING PROGRAM, AND EXAMINATION SYSTEM, March 2003. [wenxi-17:2003] T. Kobayashi and W. Chen. DELIVERY METHOD, ITS SYSTEM AND DELIVERYMANAGING DEVICE, May 2003. [wenxi-18:2003] W. Chen, T. Kobayashi, Y. Teshigawara, and J. Yang. REMOTE HEALTHCARESYSTEM, Oct. 2003. [wenxi-19:2003] W. Chen. SECURITYSYSTEM, Jan. 2003. [wenxi-20:2003] D.Wei, T.Sakamoto, andW.Chen.MEDICALTELEMONITOR SYSTEM, Feb. 2003. [wenxi-21:2003] D. Wei, N. Takeda, H. Seiyama, T. Sakamoto, and W. Chen. ELECTRONIC STETHOSCOPE AND REMOTE MONITOR SYSTEM, Feb. 2003. [dm-wei-21:2003] Minoru Aiba. Graduation Thesis: Activation Recovery Interval Calculated from Simulated Body Surface Potentials, University of Aizu, 2003. [dm-wei-22:2003] Masayuki Uchida. Graduation Thesis: Detection of Pulse and Respiration Rate from Pressure Chanq?s of a Pillow using ICA, University of Aizu, 2003. [dm-wei-23:2003] Yuki Ohshiba. Graduation Thesis: Development of a 32-channel data acquisition system, University of Aizu, 2003. [dm-wei-24:2003] Hiroaki Ohno. Graduation Thesis: Development of Infrared Communication for Wireless Electronic Stethoscope, University of Aizu, 2003. [dm-wei-25:2003] Hitoshi Omokawa. Graduation Thesis: Simulation of the WPW syndromeand using Computer Heart Modeling, University of Aizu, 2003. [dm-wei-26:2003] Akihiko Koguchi. Graduation Thesis: Numerical Simulation of Body Surface Potential Mapping with FEM, University of Aizu, 2003. [dm-wei-27:2003] Hiroko Chika. Graduation Thesis: A study of Derived Electrocardiogram on Right Additional Leads, University of Aizu, 2003. [dm-wei-28:2003] Yousuke Tsuta. Graduation Thesis: Detection of the walking rhythm using acceleration sensors, University of Aizu, 2003. [dm-wei-29:2003] Shin Hasegawa. Graduation Thesis: Comparitive study of Mesh processing and Image processing via Laplacian Filtering, University of Aizu, 2003. [dm-wei-30:2003] Hiroshi Iizuka. Master Thesis: Boundary Representations of 3D Heart Model using Octree, University of Aizu, 2003. [dm-wei-31:2003] Akihiro Isozaki. Master Thesis: 3D Visualization of Excitation Wavefronts of the Heart with Volume Rendering, University of Aizu, 2003. [wenxi-22:2003] Issei Iwasaki. Graduation Thesis: A development of clients-server system for finding one's whereabouts, University of Aizu, 2003. [wenxi-23:2003] Hideki Hirano. Graduation Thesis: Data Collection and Walking Rhythm Detection Using a Wearable Sensor, University of Aizu, 2003. [wenxi-24:2003] Shouta Kan. Graduation Thesis: Wireless data communication between cellular phone and electric appliance with Bluetooth, University of Aizu, 2003. [wenxi-25:2003] Kenichiro Kitamura. Graduation Thesis: Realtime Message Communication among Cellular Phones Using JXTA for J2ME, University of Aizu, 2003. [wenxi-26:2003] Hikaru Tsutida. Graduation Thesis: Realtime Processing of Electrocardiogram using a Cellular Phone, University of Aizu, 2003.